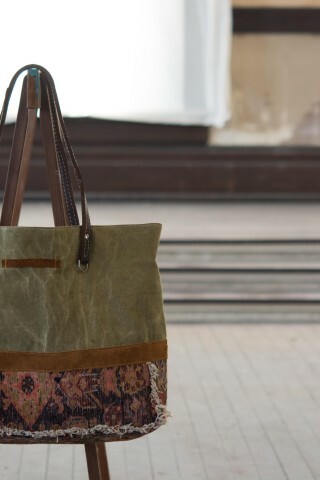 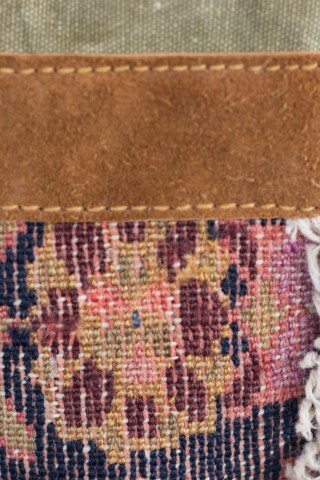 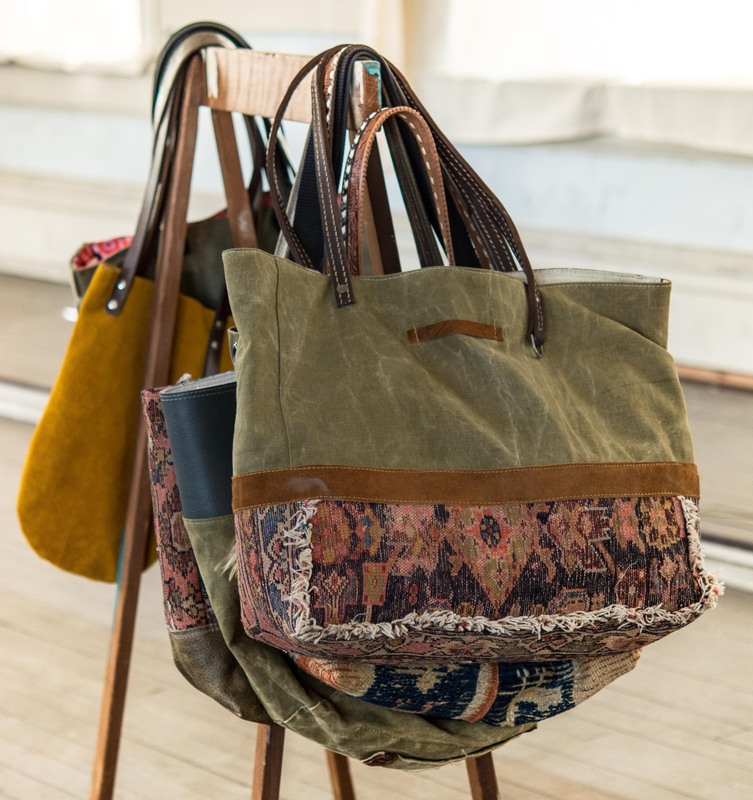 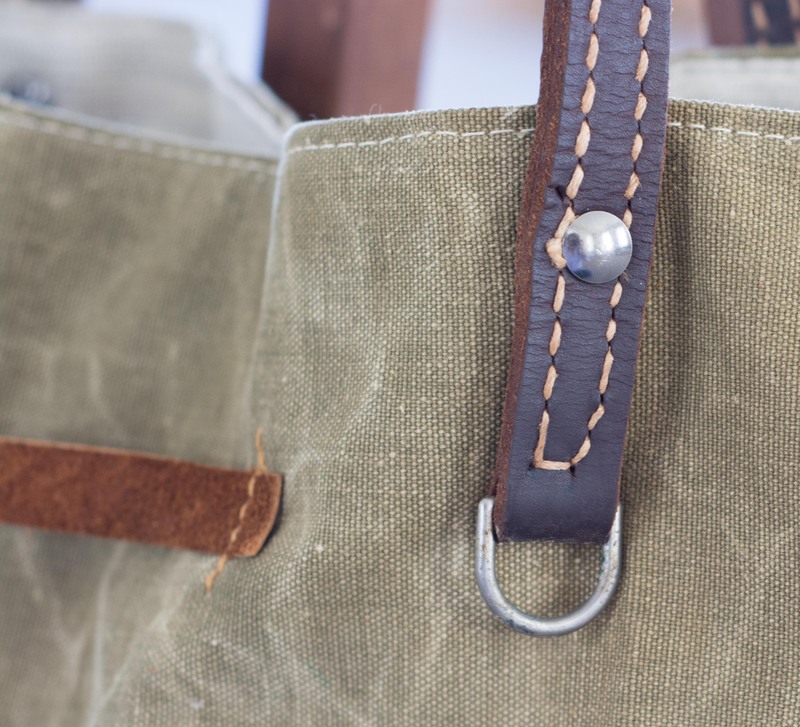 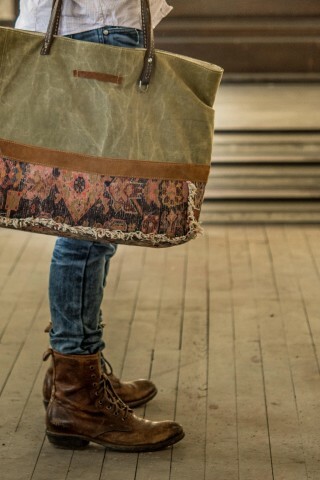 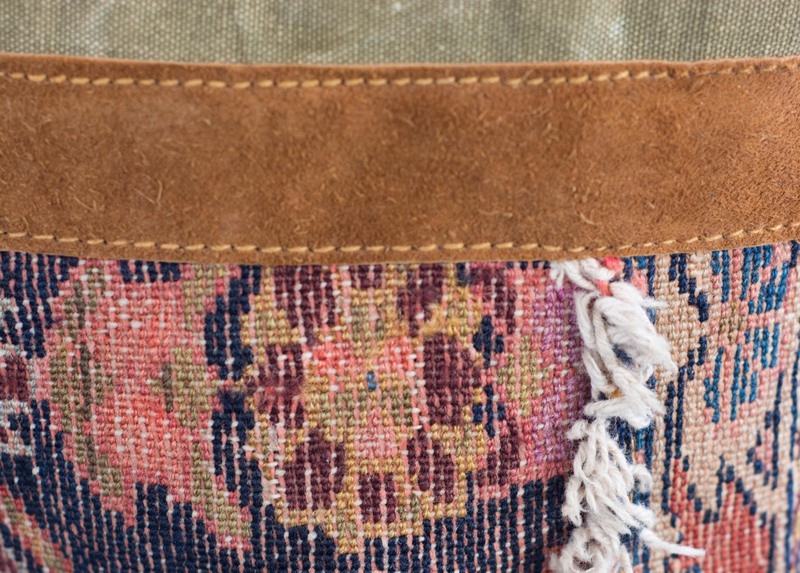 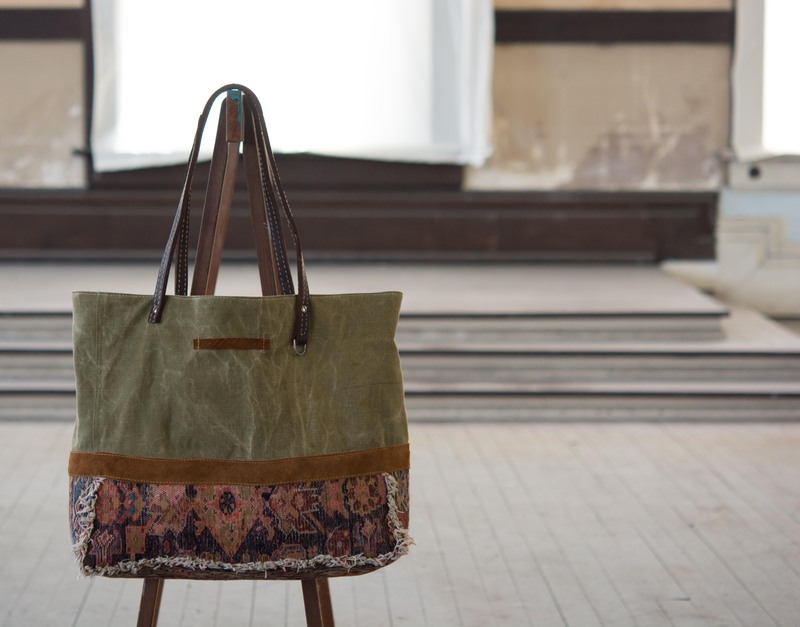 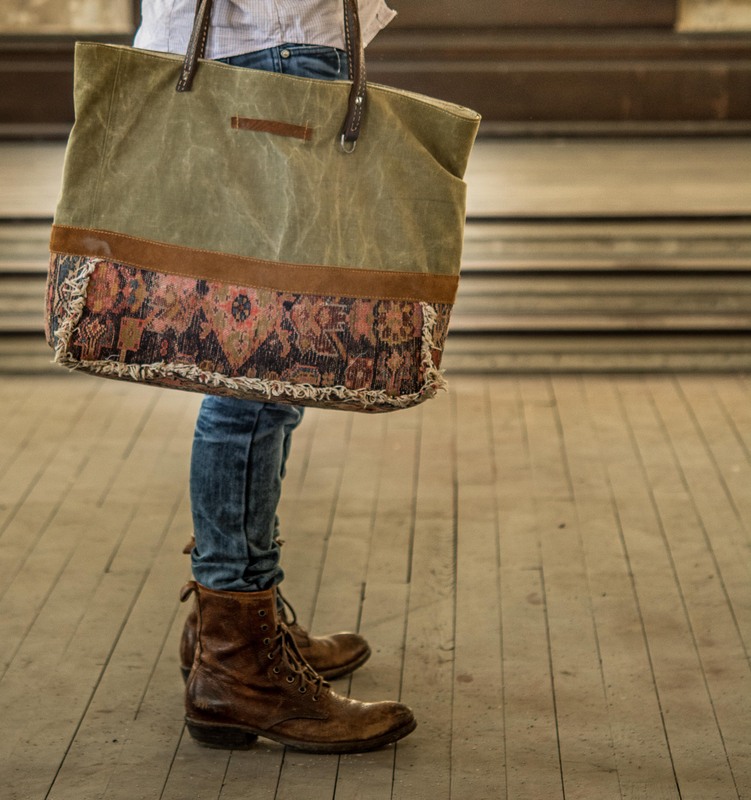 Made from Mr. Wilson's WW2 Military duffle and an antique Kilim carpet. 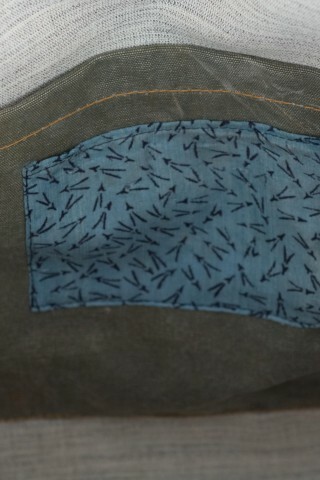 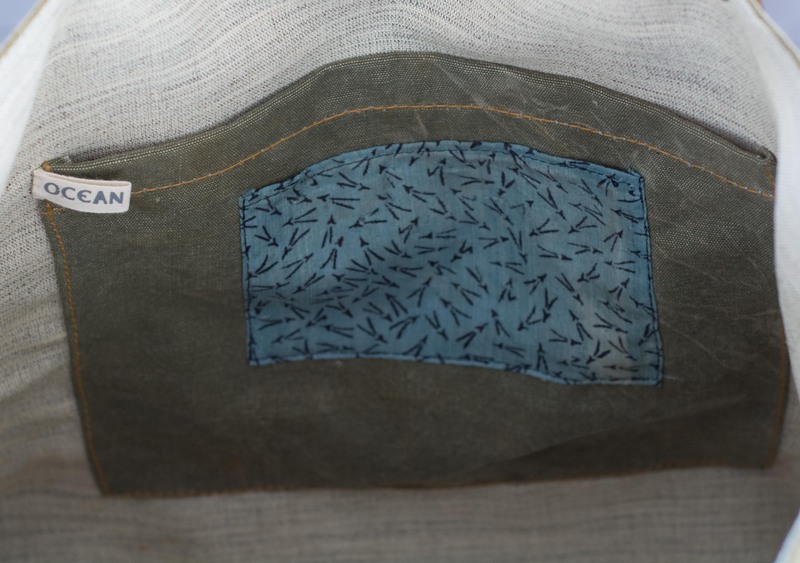 The inside pocket was made from antique Japanese Obi belt. 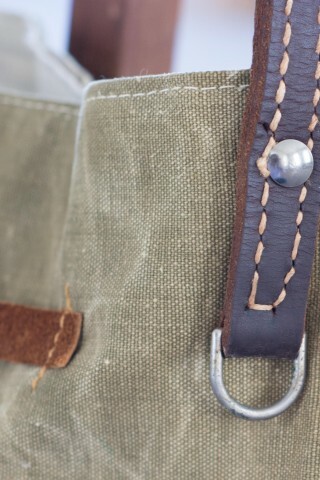 The straps are made from vintage horse reins found while picking threw an old barn in Tennessee.